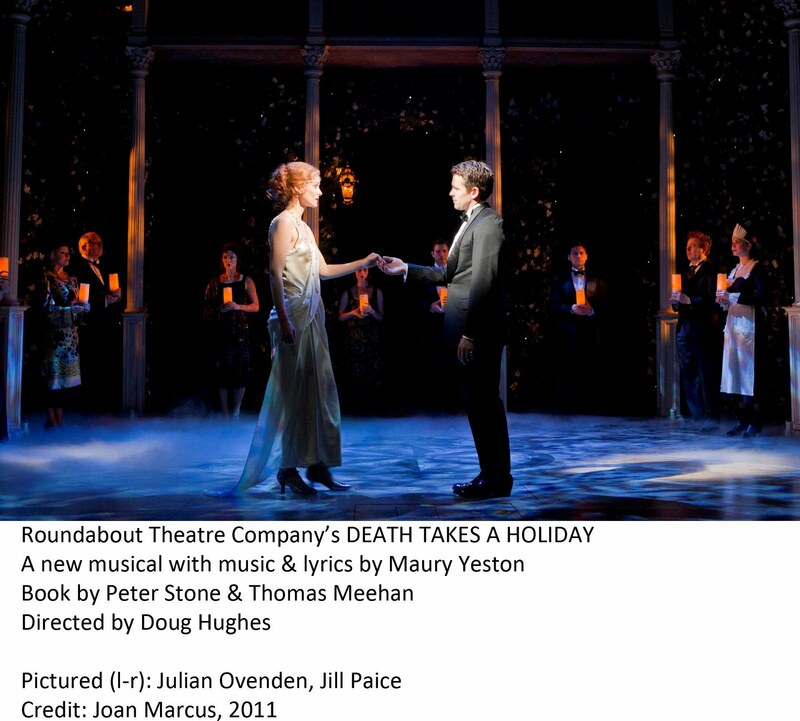 Some lovely vocals and settings (Derek McLane) highlight Roundabout Theatre's new musical adaptation of Alberto Casella's play Death Takes a Holiday, but director Doug Hughes can't resuscitate a weak plot and overwritten score that end up killing the momentum of this production. Death (Julian Ovenden -- apparently out and being replaced by his understudy at the moment) decides he is tired of being feared by humans and wants to know about this "life" they all cling to so desperately when he comes around. It's time for a holiday, and he takes a day off at Villa Felicita in Northern Italy, the lakeside home of Duke Vittorio Lamberti (Michael Siberry), Duchess Stephanie Lamberti (Rebecca Luker) and their daughter, Grazia (Jill Paice). While Death is on holiday, no one at the villa will die, as long as Vittorio doesn't reveal the true identity of his guest, who assumes the identity of Nickolai Sirki, a Russian prince. There, he discovers the pleasures of smelling flowers, eating eggs and love. Grazia benefits from the arrangement when she survives unscathed after being thrown from the car her fiance Corrado Montelli (Max Von Essen) drives too recklessly. The near-death experience is a little nearer than she thinks when she meets Death himself. She rethinks her life, her engagement and becomes attracted to the strange, yet familiar Nikolai. Grazia's father, who with his wife still struggles through the grief of having lost their son, Roberto, in World War 1, isn't ready to lose Grazia to Death as well and opposes the match. Vittorio's aging mother-in-law Contessa Evangelina (Linda Balgord) recognizes Death at once and suspects she might have to leave with him. She hasn't felt alive much any way since the death of her husband and she hasn't noticed the steadfast devotion all these years of her first and true love, Dr. Dario Albione (Simon Jones, who is fun as the character, but who has a weak singing voice). Tragedy might not be avoided when Death's true identity also is discovered by Majordomo Fidele (a miscast Don Stephenson), Grazia's best friend Dasiy Fenton (Alexandra Socha), Roberto's widow, Alice (Mara Davi), Daisy's brother, Eric (Matt Cavenaugh), the maid (Patricia Noonan), the chauffeur (Jay Jaski) and the cook (Joy Hermalyn). We kind of like Death -- Ovenden is dashing and has a lovely singing voice as does Paice. Vittorio and Fidele have a nice duet in "Death is in the House," Luker sings a moving ballad "Losing Roberto" and Davi shines in a bright dance with Death (Peter Pucci, choreography). These, however, are just a few of the some 24 songs comprising the score by Maury Yeston who also writes the lyrics. There are 14 tunes in the first act alone with characters singing about every situation and emotion that arises. That teamed with the overcomplicated, repetitive and laborious book by Peter Stone and Thomas Meehan starts making us wish we could take a holiday too. Catherine Zuber's period costumes disappoint as well, with strange lines that make some of them look bunched up and some colors that don't work together. 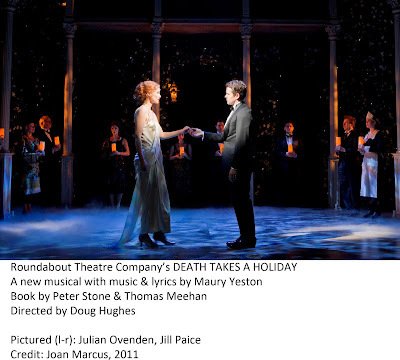 Death Takes a Holiday runs Off-Broadway at the Laura Pels Theatre at the Harold and Miriam Steinberg Center for Theatre (111 West 46th Street) through Sept. 4. For tickets, visit www.roundabouttheatre.org or call 212-719-1300. It’s one of the bard’s “problem plays” because it’s hard to classify it as a comedy or a tragedy, but this one seems to present even more difficulties than another problem play -- All’s Well That Ends Well -- running in repertory this summer at the Public Theater’s free Shakespeare in the Park at the Delacorte Theater in Central Park. Are we supposed to like Vincentio, Duke of Vienna (Lorenzo Pisoni)? He’s the hero, but sort of a dunce and not exactly a good ruler. Are we supposed to sympathize with Claudio (Andre Holland) who gets his girlfirend, Juliet (Kristen Connolly), pregnant? 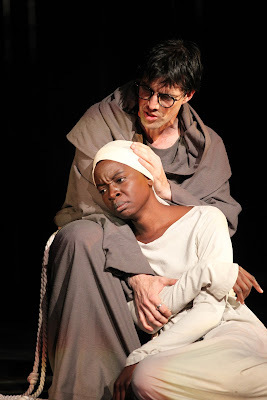 What about Claudio’s sister Isabella (Danai Gurira), a novice about to take her vows of chastity, who might have to give up her virginity to the ruthless deputy ruler Angelo (Michael Hayden) to save her brother from being beheaded for violating the morals laws Angelo invokes? Or maybe we’re supposed to relate to Mariana (Annie Parisse), rejected by her fiance Angelo on a trumped up morals charge? Unfortunately, we’re not inclined to care about any of them and director David Esbjornson’s uneven staging doesn’t help solve the problematic nature of the play and doesn’t find focus. Actors seem to be walking around on stage with no purpose just so they have something to do. Some blocking has actors with their backs to the audience for lengthy periods and John Gromada’s original music sounds too modern at times, contrasting with Elizabeth Hope Clancy’s Elizabethan costumes (and kudos to all the actors wearing them in the heat and humidity that permeated the theater the night I attended). Scott Pask’s set for All’s Well That Ends Well does double duty, though, with just a few expertly implemented changes that morph it from elegant to monastery-like. Despite the uneven feel to the play, there are some highlights here. Gurira is superb as the godly nun, conflicted over where her real duty lies. Some of the minor characters stand out as well: Reg Rogers as Lucio (he also shines in All‘s Well), Dakin Matthews as the provost, Carson Elrod as clown Pompey and David Mann as Elbow, a sort of constable. Giving some depth to his character is John Cullum as Escalus, a lord forced to go along with Angelo’s rule of terror. Cullum subtely conveys the character’s disagreement or amusement with the proceedings going on around him. Tonya Pinkins is underused in the role of Misstress Overdone. Measure for Measure runs in repertory with All's well That Ends Well at the Delacorte through July 30. Tickets are free and are available on the day of the performance (lines form early and most shows are sold out, so plan ahead). The Public also offers a daily online lottery for tickets. On the day of a show, users can log on to http://www.shakespeareinthepark.org/ anytime between midnight and 1 pm to register for that evening’s performance. Virtual Ticketing recipients are chosen at random to receive tickets, not in the order requests are received. Additonal ticketing information is available as well. Visit For ticket information and performance schedule, visit http://www.shakespeareinthepark.org/ or call 212-539-8750. All performances are at 8 pm. 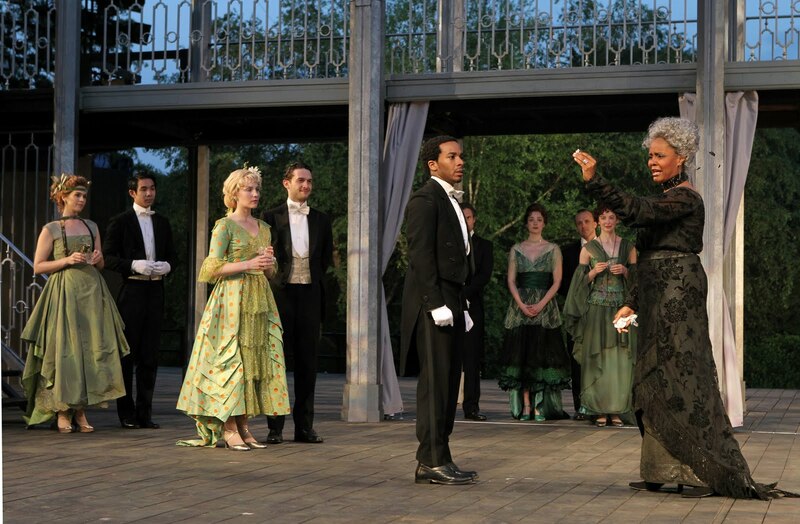 The Delacorte Theater in Central Park is accessible by entering at 81 Street and Central Park West or at 79th Street and Fifth Avenue (turn left opposite the Metropolitan Museum of Art). The New York Times presented its 2011 Outstanding Playwright Award to Kristoffer Diaz Tuesday for his play The Elaborate Entrance of Chad Deity produced in New York by Second Stage Theatre. 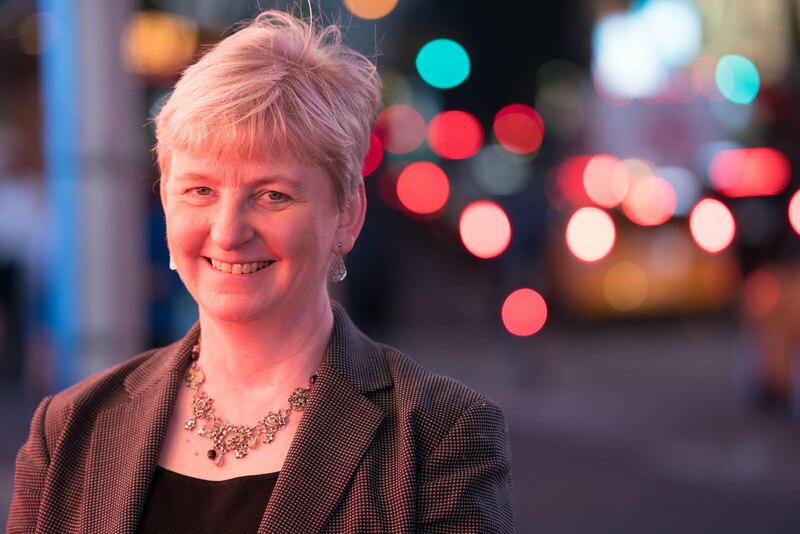 In addition to Ms. Gold, the members of the selection committee are Pulitzer Prize-winning playwrights, Richard Greenberg, James Lapine and Lynn Nottage and, from The New York Times, writers and editors Scott Heller, Sam Sifton and Andrea Stevens. The playwright Edward Albee, who is also a committee member, was unable to participate in this year’s judging. 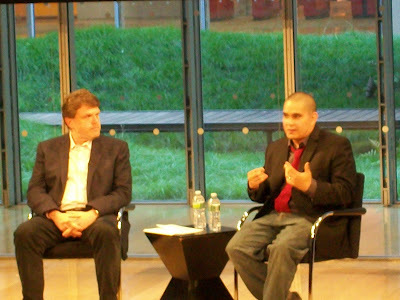 The award was presented by Arthur Sulzberger, Jr., chairman of The New York Times Company, at the Times Center in New York followed by a performance of a monologue from the play by Desmin Borges (who starred in the Off- Broadway production and who will reprise his role in an upcoming LA production) and an interview session with Heller. 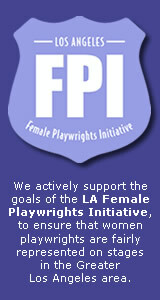 The award, created in 2009, was established to encourage and support an American playwright whose work recently received its professional debut in New York. The past winners are Tarell Alvin McCraney for The Brothers Size and Dan LeFranc for Sixty Miles to Silver Lake. 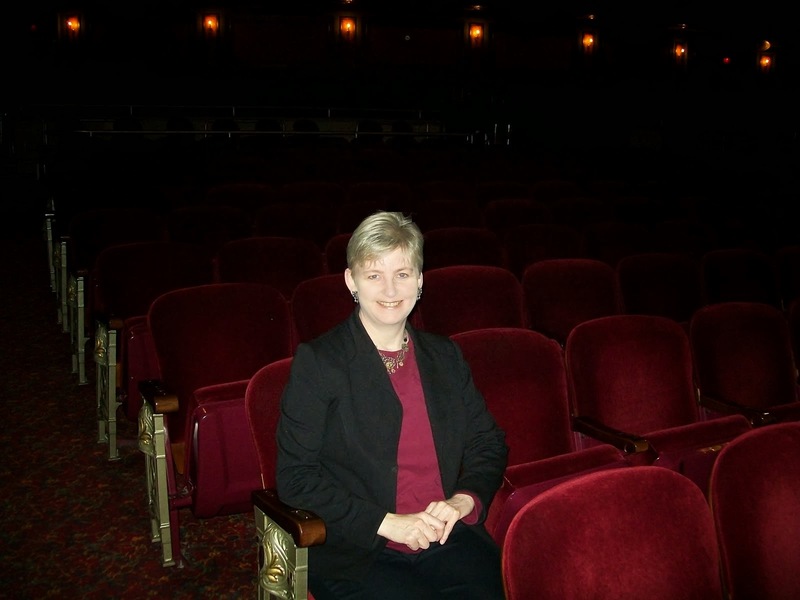 The 2011-2012 Broadway season started in a high note – literally and figuratively – with Manhattan Theatre Club’s production of Terrence McNally’s Master Class starring a superb Tyne Daly. The actress channels opera diva Maria Callas, who in the play, conducts a master vocal teaching class for students after her own career in the stage wanes. The popular Greek-born soprano who tackled Verdi’s Lady Macbeth when she was only 18 years old went on to wow the opera world in the 1950s. She isn’t quite ready to give up the spotlight, however, and the class becomes an amusing collection of vocal instruction mixed with the soprano’s thoughts about her own life and career. She intimidates students Sharon Graham (Sierra Boggess), Sophie DePalma (Alexandra Silber) and Anthony Candolino (Garrett Sorenson) while bossing around a stagehand (Clinton Brandhagen) and trying to remember the name of her pianist, Emmanuel Weinstock (an affable Jeremy Cohen), who struggles to provide accompaniment for the singers constantly interrupted by the diva’s ramblings and demands. McNally combines humor, memoir and expertise about opera to create an engaging script which Daly uses to perfection in creating Callas. Dressed in a simple black pants suit (Martin Pakledinaz, costume design) she even looks like Callas (Paul Huntley, wig design). She tells us repeatedly that this session is NOT about her, then amusingly makes it obvious that it, of course, is all about her. She relives moments on stage and shares details from her marriage and an affair with Aristotle Onassis, at the time, the world’s richest man. Thomas Lynch’s set design, nicely lighted by designer David Lander, takes us smoothly from the master class into Callas’ memories (except for one glitch the day I attended where set pieces didn’t line up correctly and caused a toppling of props). When she can tear herself away from her own thoughts long enough to focus on the students, Callas tries to help Sophie (showing too much leg and who gets stopped at the first note), Sharon (overdressed, who labors to perform Lady Macbeth in the grueling session) and "Tony" (to whom everything is a joke) to find their own looks and to connect with the stories in the music they are singing. 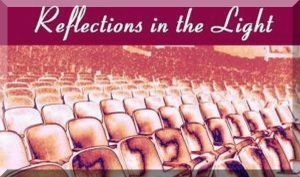 There are some life lessons in the wisdom she shares about performing in theater as well. McNally’s own expertise in opera comes through and we are treated to parts of operas as well Callas’ own voice (Jon Gottlieb, sound design). Sorenson, making his theatrical stage debut, has performed at the Met and numerous other opera companies. His tenor voice is a delight to hear. Good writing, excellent direction by Stephen Wadsworth and a diva-worthy performance from Daly harmonize to create a production that deserves a huge Bravo! Master Class has been extended through Sept. 4 at the Samuel J. Friedman Theatre, 261 West 47th St., NYC. Discounted tickets are available by clicking here. André Holland and Tonya Pinkins (center) with the company of All's Well That Ends Well, directed by Daniel Sullivan, running in rep thru July 30. A production of “problem” play All’s Well That Ends Well usually provokes a, “Really? Why that one?” sort of response from William Shakespeare lovers. It, along with some others, most often Measure for Measure, also being produced this summer as part of The Public Theater’s annual Shakespeare in the Park offerings at the Delacorte Theater in Central Park, defy classification, hence their "problem" designation. Are they dramas or tragedies? And did some of the character development get lost through the centuries? It sure seems so when you sit down to read one of them. Director Daniel Sullivan’s interesting Edwardian interpretation proves, however, that while troupes may have been trying to make this play work since it was written in the early 17th century, this version might finally be the one that let’s us sit back, feeling that all really has ended well. The period update (beautifully visualized by Jane Greenwood’s costumes) works better than some other modernized versions of Shakespeare. The plot of a woman’s unrequited love and the means she uses to win the object of her affections isn’t out of place 300 years later. Scott Pask’s elegant, yet simple set doesn’t overbear and Tom Kitt’s original music sets mood, rather than the time frame. Peter Kaczorowski expertly lights the scenes and once again Acme Sound Partners shows us how to do outdoor sound. Instead of just being something aesthetically pleasing, this production’s real satisfaction comes from excellent performances that bring depth to characters not always achieved and allow us to enjoy the strange story as well. An excellent Annie Parisse plays Helena, a lowly born woman, who falls in love with Bertram, Count of Rousillion (André Holland). Usually, she appears desperate -- not a lot of reason is given for why she is so obsessed with Bertram, who isn’t such a great guy and, who for the most part, has been like a brother to her when Helena is raised by his mother, the Countess (Tonya Pinkins). Parisse, however, makes her determined instead of desperate. We don’t ask why, we just know that she can’t help how she feels, so we understand, if possible, her bizarre actions. The daughter of a physician, she miraculously cures the King of France (John Cullum) and as her reward, claims Bertram’s hand in marriage. Before he is forced to consummate the marriage, Bertram flees, on the advice of his companion Parolles (a very funny Reg Rogers), to war. Helena fakes her death and pursues him to Florence where he courts Diana (Kristen Connolly). When Bertram arrives for a romantic liaison, Helena takes Diana’s place and consummates her marriage. There’s more to the story, but I won’t exactly be giving away the ending if I say the title speaks for itself. Again, all the performances shine, with Pinkins creating a regal and likable countess and Cullum making an excellent morph from a resigned man on his death bed to a monarch wielding newfound power and authority. Also standing out are Dakin Matthews as old Lord Lafew and David Manis as the clown Lavach. All’s Well That Ends Well runs in repertory with Measure for Measure at the Delacorte through July 30. Tickets are free and are available on the day of the performance (lines form early and most shows are sold out, so plan ahead). The Public also offers a daily online lottery for tickets. On the day of a show, users can log on to http://www.shakespeareinthepark.org/ anytime between midnight and 1 pm to register for that evening’s performance.